Stand 7, 13 yard shot, 25 yard recovery. I also took a 70 pound hog the next night with the bow. Looks like fun to me! The night time video through that scope is surprisingly good. Well worth doing at least once. We have a saying at our house, "When was the last time you did something for the first time?" I will say I was happy with the night hunt but really jazzed with the bow kill. Somebody shoot and post something! Buddy and I stacked up the geese this winter. Does that count? Our only hunt with good snow cover... and another friend of course since the limit is 3 each. Nice! Looks like it was a bit chilly? 38 degrees when we started. Looks like the temps at going to warm up for the weekend. We will be out again. My brother got his Kansas turkey this morning. All right! Congrats. Mushroom pics should be flooding in soon. Congrats to your brother. That alfalfa he's sitting in is sure greening up fast. Got my first bow killed gobbler in Kansas this morning. Congrats! What broad-heads are you guys using? Chris was using the Spitfire Maxx and I was using the Rage Extreme on this trip. Congrats on the gobblers Kevin and Chris! Second season in Illinois, 4-19! Congrats Jack and that's a great picture. Thanks Greg and Paul! I finally remembered to put in for Illinois in January, thought I would take advantage of the earlier hunt dates. It was still tough hunting but better than what we have. I wish the DNR would do away with the fall season and start our spring season earlier. 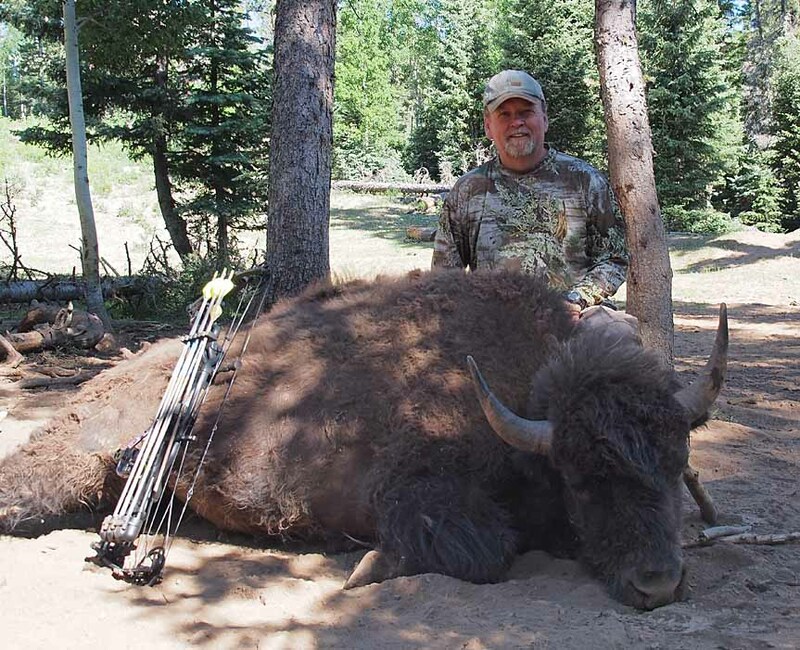 Good luck on your Bison hunt Greg, it will be here before you know it! Congrats on the Breaks tags Paul, I see a big bull in your future! 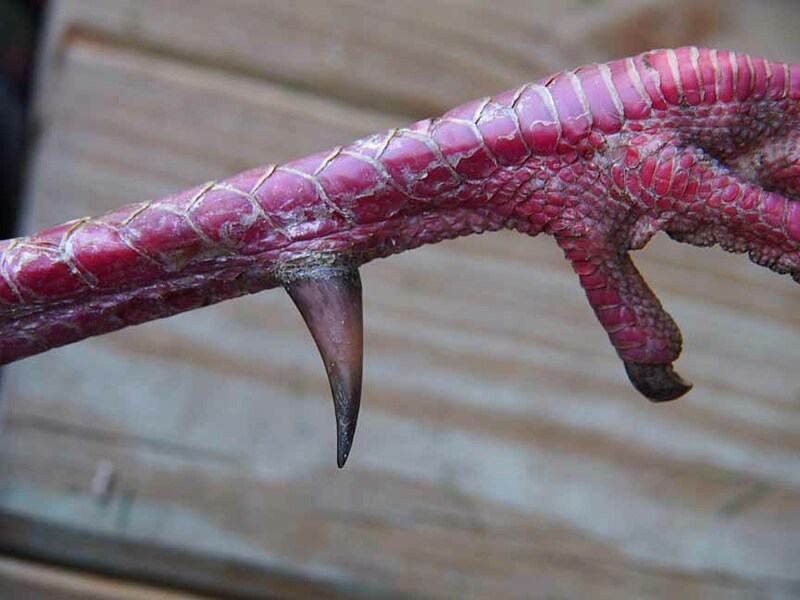 Oh you guys have Turkeys to kill first. Good luck and be safe!! Great birds and awesome photos. Congratulations! Congrats Grace and Pete on getting it done....again! My son got this guy last evening. First turkey. Three toms came in to our jake and hen setup coupled with my mediocre calling. Got two shots into him at about 6-8 yards. Bear apprentice and slick tricks. Beautiful evening to be out. 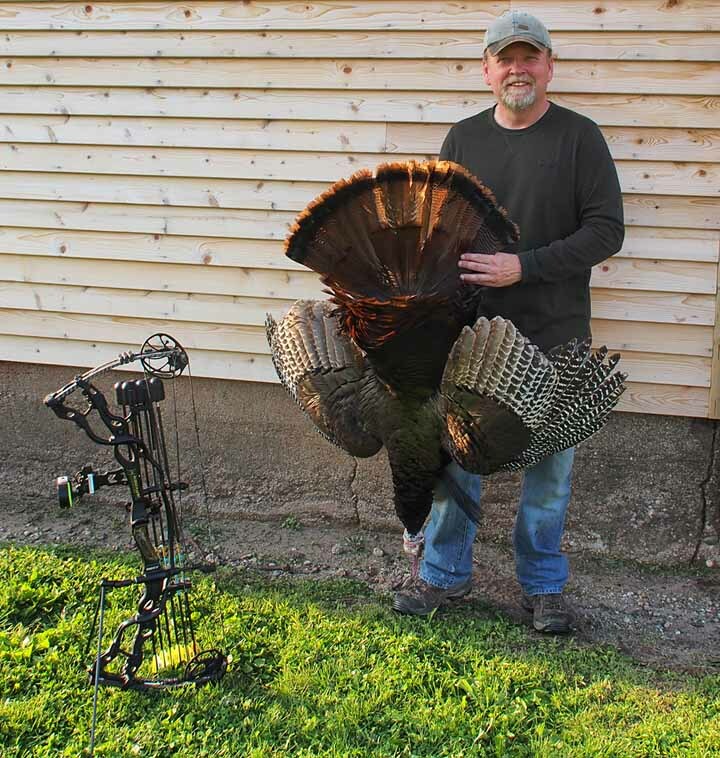 Awesome photo stick slinger, first turkey and with a bow!! Gotta love the bowkill on a first turkey! Not many people can say that. Congrats! Congrats to the kids getting 'er done! Way to go little Hoosier hunters. I took a tom (shotgun) on opening morning. Won't post it because it wasn't a bow kill but the bird didn't seem to mind. Tasty bird. Next up, Porkapalooza. The rest of them on their way in. Congrats to the turkey slayers! Killed a triple beard jake yesterday at 1:05 pm. Sat through the morning rain and when it stopped around 10:00 am a tom fired up. There was a fence on the south side of the property that he wouldn't cross, he gobbled for close to three hours as close as twenty yards but wouldn't come in. Two jakes came in to the hen decoy and I ended my season. 9 1/8 " of beard! Thanks! Kind of kicking myself now, he would have been a really good one in two years. Finally ran into a bit of luck myself on an afternoon hunt, and was fortunate to nail this Tom. Took him with a Grim Reaper at close range with a frontal shot while he was in full strut. He weighed in at 23.2 lbs, and had 1-3/8" spurs with an 11" beard. Great job on the birds guys! Congrats Greg!! Heck of a tom!! Gary Turpchinoff 72, Bob Schisler 81, are still able to get it done. I sure hope that I'm out shooting something with my bow when I'm in my 70's!... 80's might be hoping for too much. So cool that they are out having fun with their bows. Those are some big carp! Good job on the carp! Had a successful hunt in New Brunswick this past week with some old friends and some new ones. Congratulations Kevin on a beautiful bear! Got lucky and filled my once-in-a-lifetime Kaibab, Arizona Bison tag with this bull last week. Congrats Greg!!!! You always seem to get it done... so the rest of us are not buying the "got lucky" line. You, sir, are a very accomplished bowhunter and while that may occasionally involve some luck - I'm of the opinion that your preparation led to your opportunity. Congrats Greg! I'll echo Pete's post...not surprised you filled the tag! Bowhunting in Arizona during June....that had to be a scorcher! Congrats Kevin!! Good looking bear. Great picture Greg!! Way to make your dreams come true! As Pete said, you always get it done, happy for you! Pete that was the best congratulation and complement I have read on here and it's all true! You are up next Paul, it won't be long and you will be in the Breaks! Awesome Greg! Well done and very cool to hear about your success. 1 of 2 hogs I shot with my bow in Oklahoma during the Porkapalooza. Congrats Mike! Followed your live hunt report on the main forum. Sounded like lots of fun resulting in plenty of pork in the freezer. Nice Mike....that's a purty one! Great job Greg and Mike! Congrats! Anybody shooting carp yet? All this rain has just buggered up the lakes and stream systems, I'm sure. Went to Florida last week and shot gar, armored catfish, and a couple alligators. Looks like an awesome time Terry! Very cool. I'd never heard of armored catfish....very interesting. How do the catfish taste? As I recall the armored catfish are actually plecostomus cats that people released after they got too big for their aquaria... so many invasive species down there in FL!!! Outstanding man....congratulations on your first! Had some good fortune in northern Quebec last week. 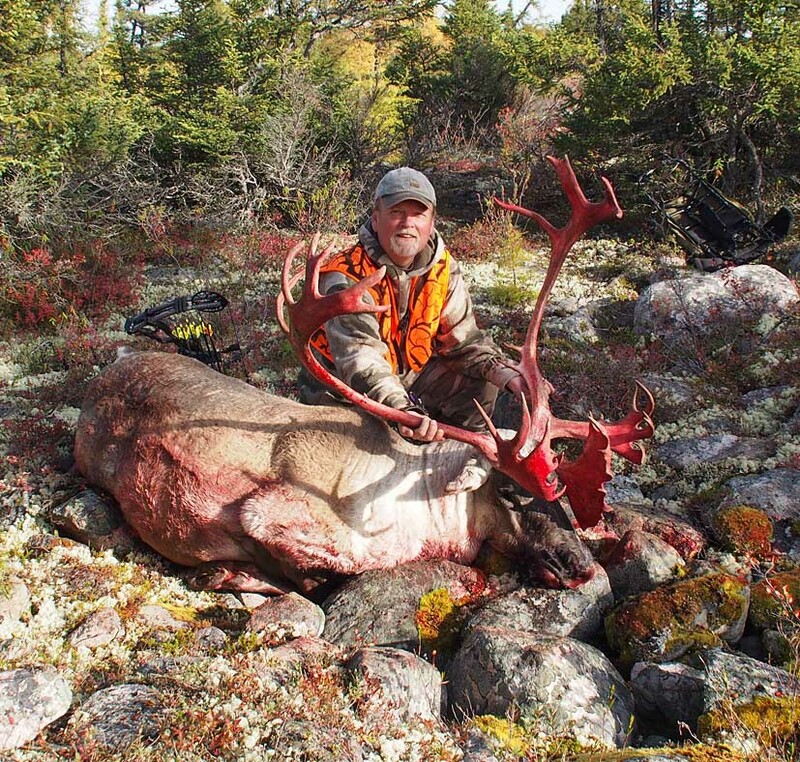 Sadly, it looks like this is the last year caribou hunting will be allowed in that province. Also posted some of the hunt details and more pics over on the hoosierhunting.com website. Congrats Greg! You are having another great year! Good luck on the whitetails next week. Thanks guys. Pete me neither, but I'm planning to leave the antlers as-is for a while and see how they end up looking. They're starting to get a little brown color already. Congratulations Greg. Another great animal. Got lucky on this Kentucky doe Thursday evening. Way to kick it off KDC. Looks like a big ol' mature doe. First Indiana turkey with archery equipment. Opening day of the fall season. Shot a little low but still got the job done. Wow nice.....you didn't waste any time! Fall birds are tough with archery gear....congrats! For Mike....just a little extra motivation / incentive from Montana! Got within 25 yards of these two rams and would have given just about anything to have a tag in my pocket. Thanks guys. Rehab is going well and I'll be back up on the mountains on the 15th. Rifle this time but I'm going to give it another round. I heard there was a lot of snow in area 3 in Wyoming so hopefully the rams are lower and a bit easier to get to. Great pic. Wish you had a tag too! I'll let you all know how it goes. Appreciate the encouragement. Mature Doe 35 yards double lung 10/7/17. A week late I know but finally remembered to post while sitting in the stand tonight. Congrats! Some great table fare as a reward for your good shot! Nice doe Thursday morning at 30yds or so from my turkey seat. She didn’t go 40 yards. Made a good shot quartering away. First time using a Grave Digger extreme broadhead. Did very well out of my 62# Hoyt Defiant 34. She came down with three other does sucking up acorns. Checked her stomach and she must have fed on acorns all night. My intent was to take a turkey, but they had roosted somewhere else apparently. I’ll take it! Way to get er done guys! Revenge doe for not getting a sheep in Wyoming. Another view of Dad's heavy buck. Dad shoots 55lbs and wanted to try my Rocket steelheads this season. I have come to be a huge fan of 125gr steelheads, having killed about 20whitetails, 5 pronghorn and 2 elk with them. If I hadn't seen firsthand, I might not have believed that an arrow from his setup could penetrate the spine on the scapula of a 5.5 or 6.5 yr old buck. His arrow literally blew through the thickest part of the scapula at 15yds and lodged in the offside shoulder. Looking at the picture, you can see that the arrow went through the spine on the scapula then passed on through the flatter portion that most people think of as the shoulder blade. Congrats to your dad Pete....what a unique trophy! Awesome for you and your Dad. Congrats on a real bruiser. Thanks guys! Dad topped his weekend off by landing a nice 11lb steelhead Monday morning. It was fun watching him have so much fun and success this weekend!!! Another doe! Now where are those bucks? Quartering away shot, ran only 40 yards and piled up next to the tree I was in the week before. Broadhead passed through the body cavity, and in and out the offside shoulder. Deer did break my arrow. Lone doe with no bucks around so I took the opportunity to take my second archery doe for this season. First doe off our lease by Vevay. Now I have done my part and took a doe off each of our leases. Ready for a big buck now! Congrats to your dad Pete! Looks like we had the same idea Jeff and Mike. Good shooting guys! Put a good shot on this state ground deer the other day. Not seeing any bucks yet. Congrats guys! I am a weak man and when I grunted this buck in and he just had to go broadside, the arrow was on it's way before I could reason out what was happening. I've not taken that many bucks with a bow so I"m still in the learning curve. Way to go guys. You gotta love this time of year. Took a nice doe Thursday 11/9 morning with my 60# Hoyt Defiant 34 and a Slick Trick Standard. She came in at maybe 15 yards, but behind the only branch she could’ve. Got a bit squirrelly and doubled back, but stopped when I grunted in a perfect small opening at 30 estimated yards. Made a perfect quartering away shot taking top of heart, lung and exited out the off shoulder breaking it! Arrow was held in by the fletch and broken while running. What a little head is that Slick Trick! That is the only deer in stand I’d seen in 3 days off. They are hiding in the cornfield I swear. Grant, I see 2 bloody arrows. Second deer or follow up shot or bad eyes on my part? Ah, it was the orange fletch that threw me off. Congrats! Nice to see some deer on here. It's been slow for me. Happy to see you guys are getting it done. Another doe down but with the shotgun so I won't post a pic. Really cold and windy today. We finally managed to get one. Changed things up last night and went with some camo netting on the ground to get closer to their field entry point. 25 yrd shot. Not a high odds shot with the angle, but it worked out. Went about 200-250 yards. First one with the bow for him. Pretty happy. Clipped the heart on the way back into the gut. Heart shot.....very nice! Congrats to your son. Congrats to the young bowhunter! Man, I missed alot of success photos in November. Congrats guys!